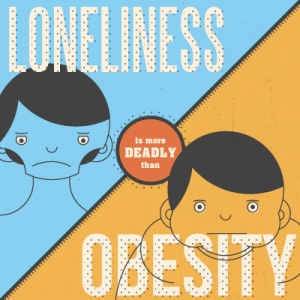 People with the highest amount of loneliness were 2x more likely to die compared to lowest amount of loneliness. ○ the psychological embodiment of our perceived discrepancy between desired levels of social interaction. ● Experts say it’s not the quantity of social relationships but the quality that really matters. ● One quarter of America has no one to confide in. “Some of the most profound loneliness can happen when other people are present,” says Harry Reis, professor of psychology at the University of Rochester. ● people have more entertainment tools such as TVs, computers, mobile devices, so they can stay home and tune out. ○ Studies show that the more people used Facebook the worse they subsequently felt. ○ Digitally Socializing in the presence of others indicates someone somewhere else is more important.